Codema’s systems are mainly used for cannabis cultivation, which mainly produces oil. This oil is intended for medicinal purposes, and therefore the concentration of CBD and THC is important. Hygiene is important in order to keep this concentration constant. The containers are thoroughly disinfected with steam and, if desired, disinfectants. 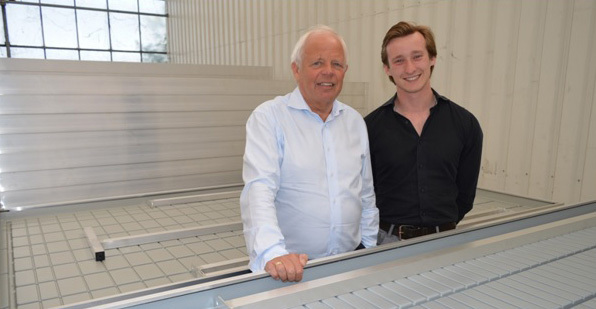 Codema installs disinfection units as part of their cultivation system. Lars Meijer: “In the cannabis world, a great deal of value is attached to uniformity of cultivation, for which automation is a great solution.” Overhead cranes automatically move containers within the greenhouse and into the workspace, which saves a lot of labor.” A robot automatically places the cannabis plants on the container. Thanks to the special fork and programs in the robot, these can automatically realize evenly distributed plant layouts. This also ensures plant uniformity.